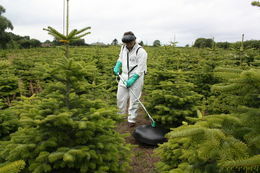 I have used my Herbidome 600 for a number of years for weed control in Christmas trees. 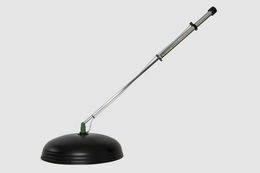 It has a strong construction yet is lightweight and really user friendly. It’s CDA, which is a great advantage as it means I don’t have to carry water to my outlying fields. The hand-held Herbidome 600 is a spinning disc sprayer for the Controlled Droplet Application (CDA) of post emergent herbicides in row crops such as cotton. 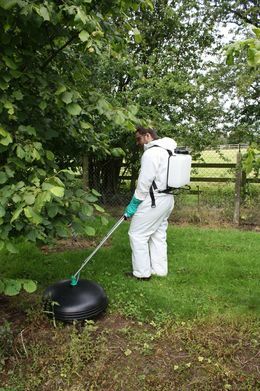 It can apply CDA formulations or traditional water-based products at total spray volumes of 10-30 litres/hectare in a circular 600mm spray pattern. Its freely rotating shield minimises drift and avoids damage to crops. The Herbidome 600 is supplied with a shoulder strap and is powered by 4 x D cell batteries. It can be connected to either a 5 or 10 litre backpack. The reduction in mixing and filling operations (with no mixing or filling operations required with CDA formulations) offers operator safety advantages.